IBM today announced IBM Machine Learning, the first cognitive platform for continuously creating, training and deploying a high volume of analytic models in the private cloud at the source of vast corporate data stores. Data scientists are in the shortest supply among today's IT skills, according to McKinsey Global Institute's report "Big Data: The next frontier for innovation, competition and productivity." Even using the most advanced techniques, data scientists might spend days or weeks developing, testing and retooling a single analytic model one step at a time. IBM has extracted the core machine learning technology from IBM Watson and will initially make it available where much of the world's enterprise data resides: the z System mainframe, the operational core of global organizations where billions of daily transactions are processed by banks, retailers, insurers, transportation firms and governments. Without the cost, latency or risk of moving data off premise. IBM Machine Learning also for the first time deploys Cognitive Automation for Data Scientists from IBM Research to assist data scientists in choosing the right algorithm for the data by scoring their data against the available algorithms and providing the best match for their needs. The service also considers various circumstances – such as what the algorithm is needed to do and how fast it needs to produce results. IBM claims clients are beginning to see the value in IBM Machine Learning for z/OS. It says Argus Health, a DST company, is evaluating this technology to help payers and providers better manage the increasing complexities and optimize outcomes. Argus is testing scenarios applying IBM Machine Learning for z/OS, while exploring creation, training and deployment of applications that can help them better manage pharmacy costs. By using this technology, Argus hopes to continue creating unique solutions that leverage insights from advanced analytics with members across various scenarios including the point of care in both, the doctor's office and the pharmacy. "Helping our health plan clients achieve the best clinical and financial outcomes by getting the best care delivered at the best price in the most appropriate place is the mission of Argus while focused on the vision of becoming preeminent in providing pharmacy and healthcare solutions," said Marc Palmer, President of Argus Health. "We are excited about the possibilities and the potential we have seen from IBM Machine Learning working in concert with our RxNova claims processing platform, clinical solutions and applied analytics in creating models that are constantly improving by using new data and enabling real-time results to the benefit of members, their caregivers and physicians." "Machine learning and deep learning represent new frontiers in analytics. These technologies will be foundational to automating insight at the scale of the world's critical systems and cloud services," said Rob Thomas, General Manager, IBM Analytics. "IBM Machine Learning was designed leveraging our core Watson technologies to accelerate the adoption of machine learning where the majority of corporate data resides. As clients see business returns on private cloud, they will expand for hybrid and public cloud implementations," Thomas said. In retail, a sales forecasting system must take into account today's market trends, not just those from last month. And, for real-time personalization, it must account for what happened as recently as one hour ago. In financial services, a product recommendation system for a financial advisor or broker must leverage current interests, trends and market movements, not last months. In healthcare, personalized healthcare offerings must be tailored to an individual and their unique circumstance. Healthcare and personal fitness devices connected via the Internet of Things (IoT) can be used to collect data on human and machine behavior and interaction. 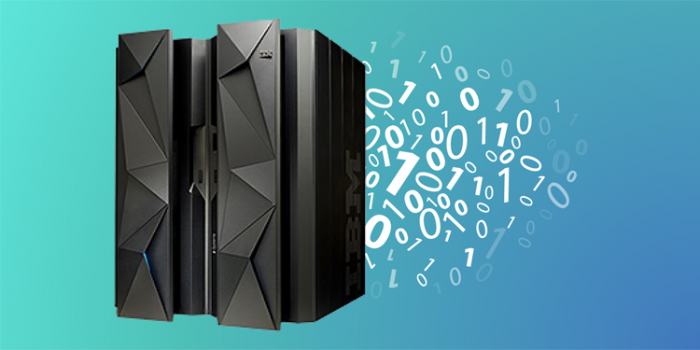 The IBM z Systems mainframe is capable of processing up to 2.5 billion transactions – the equivalent of roughly 100 Cyber Mondays – in a single day. IBM Machine Learning for z/OS claims to extract greater value from z Systems data without moving the data off of the system for analysis – helping to minimize latency, costly processing and security risks associated with traditional ETL processes. It continuously analyzes the data and models to provide better predictions and optimization of behavioral models, speeding time to insights. IBM Machine Learning will first be available on z/OS and will be available for other platforms in the future, including IBM POWER Systems.